Payment for registered presenters and co-presenters must be received by December 14, 2018. Presenters and co-presenters who fail to register or submit payment by the deadline will be removed from the schedule. 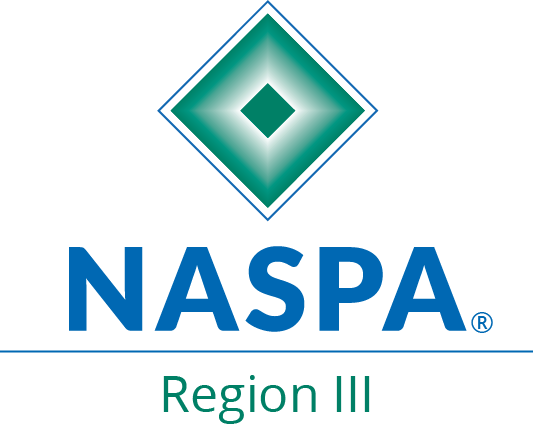 The National Association of Student Affairs Professions invites NASAP members and nonmembers to submit an online proposal for the 65th Annual Conference to share your programs, research, best practices, new initiatives, and assessment strategies with a diverse group of higher education professionals. All proposals should be submitted online to be considered. Proposals submitted that do not focus on the conference theme or focus areas will not be considered or submitted for review. Individual or Team proposals are welcome. One coordinating presenter should be selected and submit the proposal in his/her name, with the co-presenter(s) listed on the submission form. All presenters should have already agreed to participate/present at the time of submission. All presenters and co-presenters are required to register for the conference by the deadline (November 2, 2018) to be listed in the program booklet. Proposals can be submitted in one of the program formats: Lecture/Paper Presentations, Panels, Roundtables, Posters, or Concurrent Workshop Session. Sessions will be 1 hour in length and are designed to explore issues, theories, research, and best practices related to the conference theme and highlights. Sessions on a track highlighting one of the conference focus areas will be 1 hour and 20 minutes. Lecture/Paper Presentations are the primary venue for presenting scholarly research and material that pose analytic questions and then develop research-based or theoretical discussions about issues of importance to the profession. Proposal presenters for lectures/paper presentations selected for the conference should plan to submit a completed paper on the topic. A Panel or Roundtable Presentation is a thematic, interactive, and structured conversation between a panel of presenters and the program participants. Panel or Roundtable proposals should include the names of the panelists on the proposal, and have their agreement to participate prior to submission. Poster Presentation is a visual presentation to highlight your project and encourage dialogue and interest with your colleagues at the Poster Session. Should focus on the making the theme clear, and visually interesting. Finished poster size must be 30” high by 40” wide (landscape). Presentations accepted for the poster session will be provided additional guidelines. Concurrent Workshop Presentation is a traditional style conference sessions intended to enhance the skills and broaden the perspective of the attendees. Proposals will be evaluated on quality and clarity of content, clarity of specified learning outcomes, and relevance to the conference theme and focus areas. Submit your proposal using the form on the conference website. Proposal submitted otherwise, will not be reviewed or considered. Ensure that each presenter listed on the proposal form has agreed to participate and register for the conference, prior to submission. Submit proposal by the specified deadline for consideration. Notification of acceptance or denial will be sent to the listed email of the coordinating presenter. He/she is responsible for notifying co-presenter(s) of the decision, and ensure each register and attends the conference. Accepted presenters are responsible for providing their own personal laptop. Presenters who use a Mac is responsible for providing the projector adapter. Accepted presenters are required to use the Conference Template for their presentations. The template will be in PowerPoint and emailed to you by email. Presenters must be able to present anytime during this event. Questions or concerns regarding the Call for Proposals should be directed to Dr. Adriel Hilton at adriel_hilton@hotmail.com.